Have you ever wished that God would stop holding out on you and simply show you his plan for the next season of life? I mean, we want to step out in faith and all that good stuff. But why can’t he just let us in on the secret? Give us the details? Something caught my eye while traveling out of town recently. It was a horse trailer, and the horse was wearing a mask like this. I do know a little bit about horses, and there are two common purposes for having a horse wear a head mask like this while they travel in a trailer. It protects them (mainly their eyes) from insects. It helps to keep them calm. That’s right. The mask has a calming effect on the horse when it can’t see all that is going on around it. 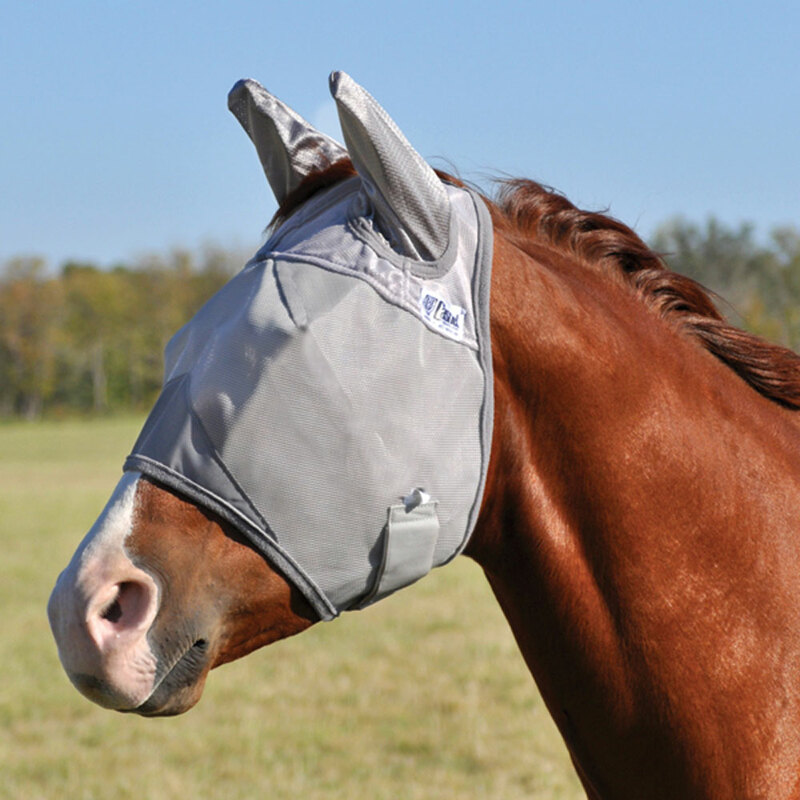 The horse’s owner will remove the mask when the environment is mostly free of harm and distractions. Meanwhile, the horse still needs to respond to the owner’s guidance. It doesn’t just stand there. It follows it’s owner even though it cannot see what it is walking toward. If God is leading you somewhere and you can’t see what it’s all going to look like, that’s O.K. There is usually good reason. In my own life, I can think back to many times when I would have not followed him if he had shown me the plan before the journey. Why? Because it would have scared me to death! He has bigger, better plans for you and I. He provides and equips us as we need it every step of the way. My encouragement for you today is this. Be grateful! What he’s asking of you today may seem like an incredible step of faith, but it’s likely to be just one of many baby steps toward something too amazing to wrap your understanding around. Could this encourage someone you know today? Share it online. Perhaps this was something you needed to hear in your own life today. Feel free to leave a comment below. Today, may you be able to fully trust God even in the absence of big details.